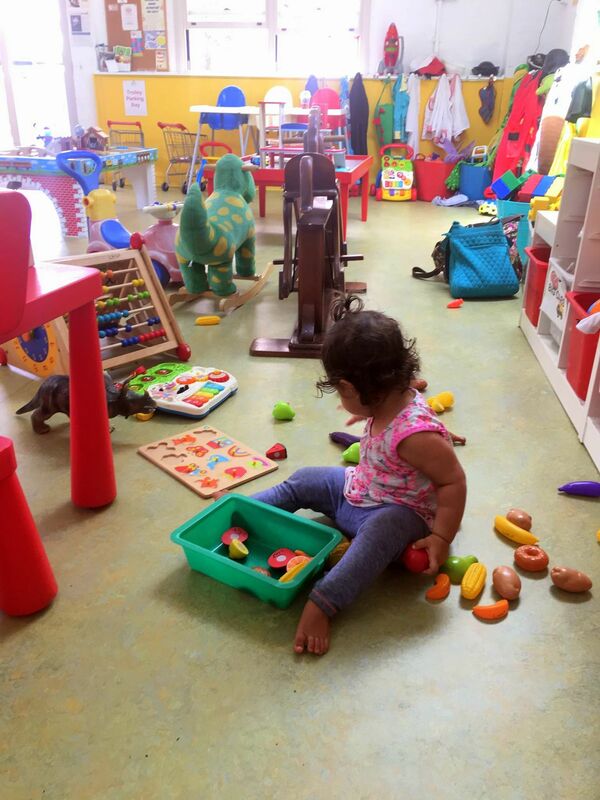 When you have a little one in the house or a few, you are always on the lookout for new activities and fun places to take the little tykes. Little Nicholson Street Play Centre is one of those awesome places where you can take the kids (ages 0-5) and be sure they will have a great day out. 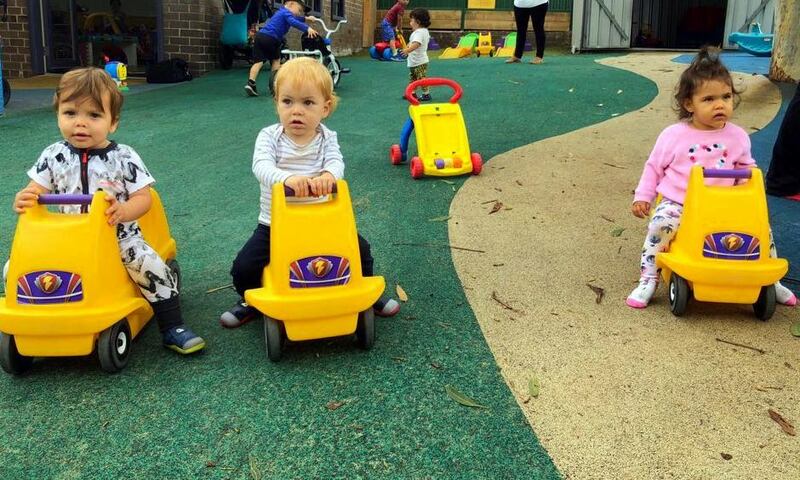 I met a couple of my mum friends at Little Nich's with our 15-month-old toddlers, to let the kids have some fun and so that we could have a nice catch-up. 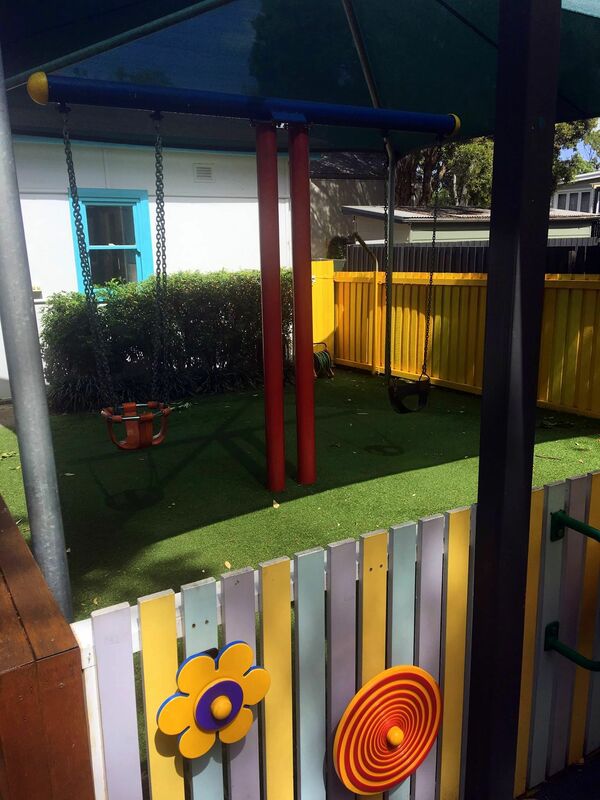 I was amazed what a great outdoor area it has - it is wonderful for the children to explore and learn and play outside. The kids can choose from playhouses, riding in cars, a fantastic sandpit and even swings. It felt so spacious and open. Sometimes in Balmain, space can feel very cramped and Little Nich's had so much open space and blue sky. The centre has a great indoor play area, full of interactive toys and discovery learning, even a railroad train. The kitchen kept our little ones busy for quite some time, allowing us mums to have a chat and relax for a bit. I especially liked the art room, completely set up for art projects. My 15-month-old may be a bit young for the art projects yet, but soon she will be ready to create an artistic masterpiece. 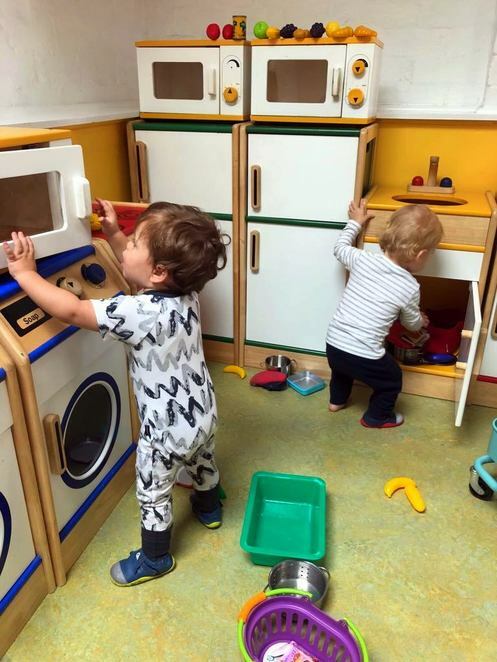 Next to the art room, there is a kitchen which offers complimentary tea to mums and caretakers- a very nice touch. 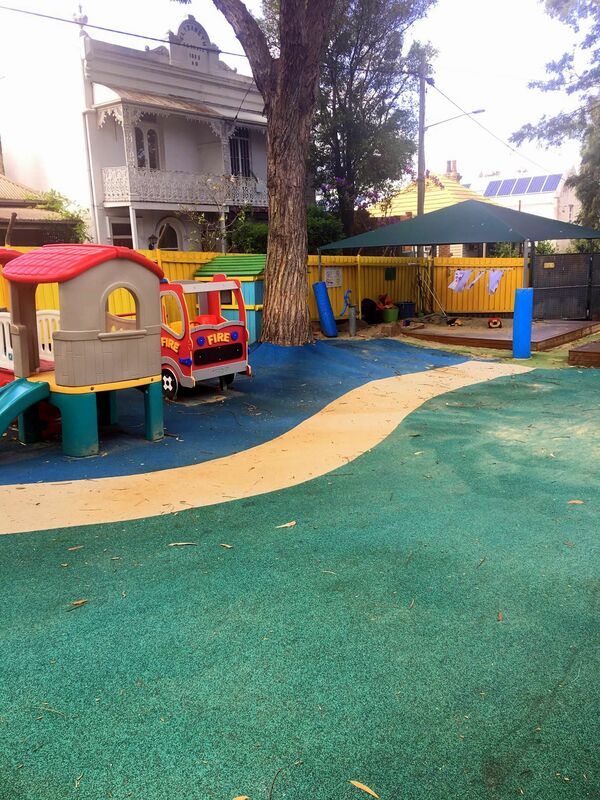 Little Nicholson Street Play Centre has been around for over 30 years and is a not-for-profit community volunteer-run centre. You can join for the year or try a 5 visitor pass. The first visit is always free. Learn more about the membership details here. 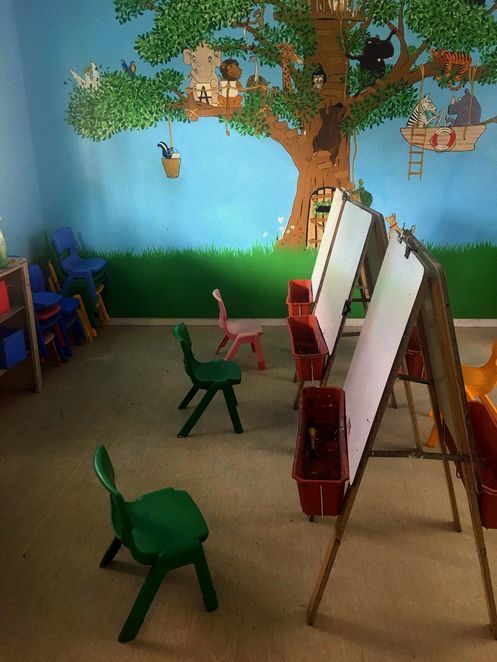 If you are a member of the centre, you have access to the entire centre for your child's birthday party at a very affordable low fee. That is reason enough to join the centre. I can only imagine the fun the children would have for a birthday party with the whole play area to themselves. Go here to learn more about hosting birthday parties at Little Nich's. In addition, coming up on the 19th of April Little Nich's is holding a fundraiser event at the Royal Oak in Balmain, "Raising Your Child in a Digital World." This will be an excellent event led by Dr. Kristy Goodwin, a digital parenting educator, researcher and mum. I cannot think of a more relevant topic than learning how to protect our children in this fast-paced digital era and supporting a fabulous community centre. Go here to book your ticket so you don't miss out on this important topic. At the end of our play date, my friends and I decided we will come back to Little Nicholson Street Play Centre every week. 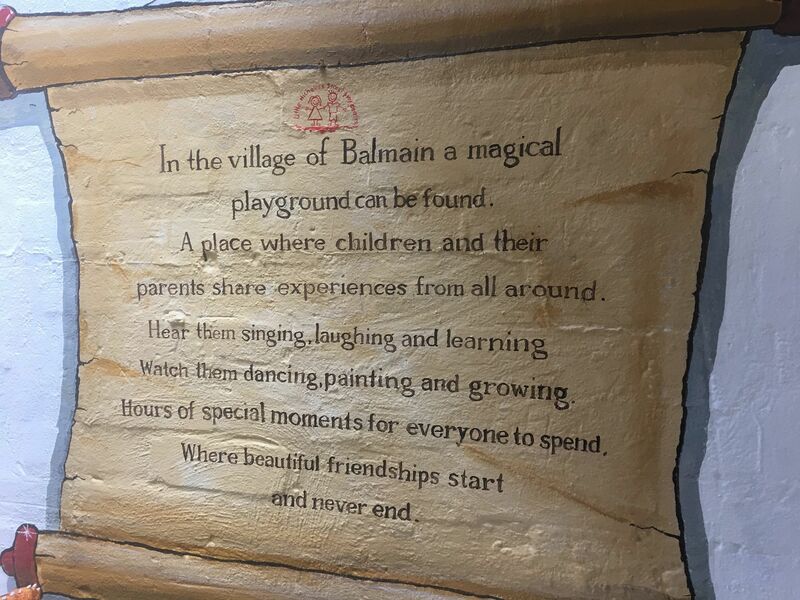 It is a special place where children can play, caretakers can have a chance to interact and play with the children and chat with other mums and friends. It's a win-win for everyone. If you have a little one under the age of 5 come try Little Nich's, you will not be disappointed.